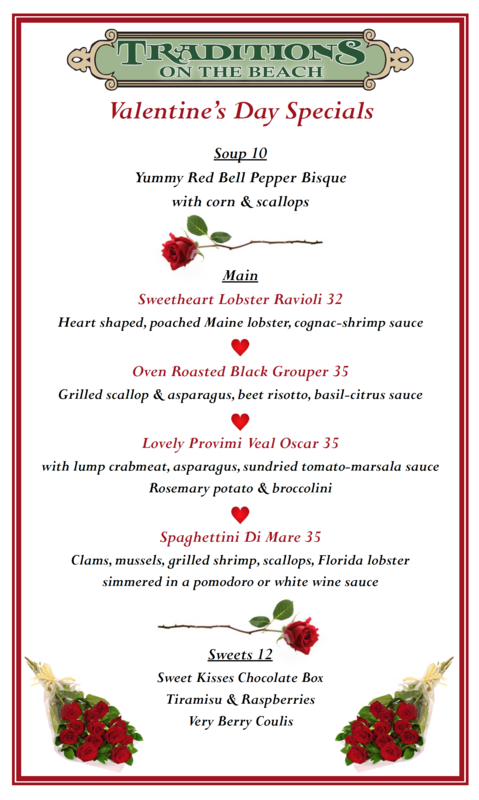 Celebrate Valentine’s Day with your Sweetheart at Traditions! Looking for the perfect place to spend a romantic evening with your loved on? Join us Sunday, February 14th beginning at 4pm for a Valentine’s Day themed dinner menu, live entertainment and a gorgeous setting that will surely delight your sweetheart! Swoon your date with a complimentary long-stem rose on us! Dinner will begin at 4pm and Joe McCormick and Marvilla Marzan hit the stage later in the evening at 6:30pm.